At the time of his death, Dr. Gonzalez was working on a book of case histories. 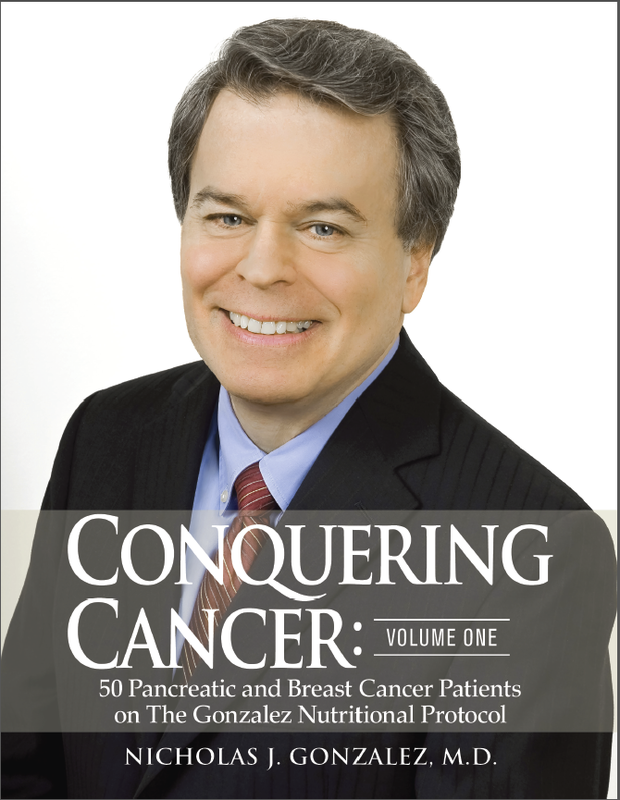 The first volume of this book, Conquering Cancer has been published posthumously by his publisher New Spring Press and the print and e-book (Kindle) versions of Volume One of the book are now available. Please click HERE to visit the new website where you can order your copy of Dr. Gonzalez’s book Conquering Cancer Volume One.